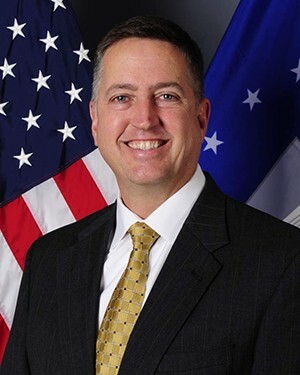 U.S. Special Operations Command’s Office of SOF Acquisition, Technology & Logistics, led by Acquisition Executive James Smith, is charged with maximizing a $7 billion budget to ensure that everything from armor protection to ammunition to land, air and marine mobile platforms, both manned and unmanned, enables operator mission success. Special Operations Forces Acquisition, Technology and Logistics (SOF AT&L), a part of U.S. Special Operations Command (USSOCOM), ensures SOF have special operations-peculiar equipment and services required for them to complete missions across the globe. SOF AT&L consists of eight program executive offices (PEOs) and four directorates. The PEOs are C4, Fixed Wing, Maritime, Rotary Wing, Services, SOF Support Activity, Special Reconnaissance, Surveillance and Exploitation and SOF Warrior. The Directorates are Acquisition Comptroller, Logistics, Procurement and Science and Technology. The portfolios span everything from satellites to submersibles and bullets to bytes. Because of this diversity, SOF AT&L teams with a wide range of industry, government agencies and academic partners to advance and field SOF capability. SOF AT&L is manned by military and civilians from all four military Services. While SOF AT&L is co-located with USSOCOM headquarters at MacDill Air Force Base in Tampa, Florida, these SOF acquisition professionals are located around the country in numerous centers of excellence on bases and posts such as Fort Eustis, Wright Patterson Air Force Base, Naval Surface Warfare Center Crane, the Navy Yard, Fort Belvoir and Natick. SOF AT&L is uniquely organized to provide full-life cycle management of SO-peculiar equipment by seamlessly developing technologies within the Science and Technology Directorate, to producing and fielding that technology through the PEOs, and finally to sustainment and eventual divestiture through our Logistics Directorate. In order to provide this support, USSOCOM executes roughly $7 billion per year through SOF AT&L; evenly distributed between equipment and services. Ultimately, SOF AT&L’s efforts are directed by the USSOCOM commander and informed by our operators to ensure rapid and focused support to SOF. PEO Services provides the commander USSOCOM and acquisition executive with leadership and oversight of the administration of all USSOCOM service acquisition actions. Additionally, program management staff support USSOCOM’s headquarters, component commands, and theater special operations commands with services acquisition training, requirements and execution documentation, cost estimating, source selection and contract administration support, as well as policy and process oversight for the command’s requiring activities. PEO Services manages more than $2.2 billion spent each year for contracted services. USSOCOM’s contracted services include Special Operations Forces training, education, exercises, staff planning and operations, acquisition program management, and Preservation of the Force and Family missions. Program managers coordinate with requiring activities throughout the SOF enterprise and identify best value technical solutions and optimize special operations resources expended in support of the warfighting command’s missions. Program managers work side-by-side with the requiring activities’ subject matter experts to ensure contracted services requirements are clearly articulated, evaluated and efficiently acquired. By exercising the senior services manager’s acquisition responsibilities for governance in planning, execution, strategic sourcing, category management and management of service contracts, PEO Services collects, analyzes, addresses and reports on all data required to provide visibility of services contracts and resource execution to the USSOCOM commander and acquisition executive, the Office of the Secretary of Defense and, ultimately, to Congress as required under public law. PEO SOF Warrior leads an organization of 10 joint program management offices with more than 200 military, civilian and contractor personnel. By cultivating an aggressive, risk-taking culture amongst acquisition, financial, and contracting personnel, the team executed $1.8 billion deemed critical to the development, management and worldwide fielding of SOF-peculiar equipment in support of USSOCOM components. This team provides lethality, survivability and air, ground, and sea mobility overmatch in all environments. While responding to an urgent deployment acquisition to fill a critical mission gap, PEO SOF Warrior accomplished a $13.8 million combat evaluation to field a new, integrated, precision-guided mobile missile system in less than four months. Agile and responsive, this team took on numerous, urgent and unplanned challenges from the battlefield as articulated by SOF. Specifically, they planned, orchestrated and executed $72 million to provide combat-critical warfighting capabilities. Enduring capabilities fielded included: fielding of electronic countermeasure efforts in the fight to counter-radio-controlled, improvised explosive devices; fielding low-visibility, non-standard commercial vehicles in support of denied area operations; countering unmanned aerial vehicle systems and the rapid introduction of a new Ground Mobility Vehicle (GMV) 1.1 equipped with a survivability armor package. SOF Warrior organized a rapid response team to address rapid deployment of current systems that could be modified to counter small, unmanned aerial systems. Working in a tight-knit, collaborative environment, a dozen capabilities were brought to bear quickly, with longer term, and better solution sets being investigated for further development. The PEO SOF Warrior team continues to ensure SOF have the technology and equipment to prosecute the fight – anytime, anywhere, both now and into the future. Joint Acquisition Task Force (JATF) TALOS is a USSOCOM initiative with the goals of increasing battlefield survivability, capability, situational awareness, and lethality while operating in high-risk environments, enabling new mission profiles, addressing historic casualty vulnerabilities and decreasing the physical and cognitive load on the SOF operator. JATF TALOS is comprised of SOF operators, acquisition professionals, and relevant subject matter experts. JATF TALOS projects have advanced technology through multiple research and development efforts in functional areas of base layers, exoskeletons, power systems, armor, helmets, visual augmentation systems, and open-software architecture and operator interfaces. JATF TALOS is scheduled to deliver a first-article prototype combat suit in 2019 that demonstrates the ability to augment human performance in a close-quarters battle with the critical path being the Exoskeleton subsystem. The Exoskeleton structure is the most difficult component of the Mark 5 prototype and is highly dependent upon the designs of the other hardware components; system-wide dependencies are complex and extensive. The other TALOS subsystems, encompassing base layer, visual augmentation systems – operator interface, helmet, armor, power and communications, continue to be refined in support of the Exoskeleton subsystem development. Increased operator survivability through comprehensive and improved ballistic protection and developing an exoskeleton that supports near unconstrained movement and provides a load bearing structure. Increased operator capability through independently powered actuation of the upper and lower body with integrated biomedical monitoring and thermoregulation to extend thresholds of human performance. Increased operator situational awareness through visual augmentation, multidimensional display of fused sensors and an integrated array of intelligence and operational data. Increased operator surgical lethality by shortening time to target engagement and creating options for novel weapon integration. Future variants of TALOS will build upon the technology and lessons learned from the Mark-5 prototype, enabling operation beyond standard human capability in the most extreme future direct-action mission profiles. PEO Fixed Wing delivers SOF-peculiar manned and unmanned fixed-wing airpower capabilities. Overall, the PEO effectively executed more than $2 billion in fiscal year 2017 to develop, deliver, and sustain a portfolio of fixed wing intelligence, surveillance, and reconnaissance (ISR), strike, and mobility weapons systems in direct support SOF operations worldwide. The two major aircraft programs are the AC-130J and MC-130J recapitalization efforts. The AC-130J recapitalization efforts include adding a precision-strike package to provide close-air support and precision fire capability. To aid in the AC-130J’s precision fire, stand-off precision-guided missiles works to deliver increased accuracy, ability to hit static and moving targets and contains a minimal visual and acoustic signature. The MC-130J recapitalization efforts include adding radio frequency countermeasure systems. This system enables force protection and survivability against radio frequency threats, avoids detection from radars and, if detected, recognizes the threat and employs necessary countermeasures. In addition, the MC-130J is integrating the airborne mission networking system. This system provides the aircrew and mission personnel onboard with the ability to rapidly and effectively transmit mission-critical data to and from a variety of tactical and operational nodes. Lastly, the MC-130J is integrating a SOF-common, terrain following and terrain avoidance radar that would enable the aircrew to conduct clandestine, air refueling, air-drop, insertion, extraction and resupply missions under adverse and hostile conditions. The CV-22 is being updated with this radar, as well as, a color helmet-mounted display and specialized automated mission suite-enhanced situational aware. The airborne ISR team is fielding unmanned aerial systems (UAS) that include improved full-motion video and electronic warfare capabilities. The Group 4 UAS system (i.e. MQ-1C) is responsible for developing, testing, and procuring SOF-peculiar mission kits for the MQ-1C. These kits include sensor payloads and pods, moving target tracking, improved communications and improved weapon integration. Another example of this team’s efforts is shown in Multi-mission Tactical UAS. These systems provide Naval Special Warfare (SEALs) an organic platform for imagery and signals intelligence support. PEO fixed wing supports the high-energy laser demonstration as well as advanced technology sensors, defensive countermeasures, advanced avionics, and mission training systems. The high-energy laser is to be integrated onto the AC-130 platform. This weapon demonstrates a precision, scalable, low-kinetic weapon with the integration of “best-in-breed” subsystems. Collectively, the teams have significantly advanced SOF capabilities by supplying them with the most up-to-date, reliable and safe programs. These programs allow the operator to better complete their mission. PEO Maritime is responsible for delivering cutting-edge surface and undersea technology to Naval Special Warfare Command. PEO Maritime is composed of five program offices that focus on the development, production, and sustainment of surface craft, wet and dry submersibles, combat diving equipment and submarine-hosted dry-deck shelters. The dry-deck shelter hosts the SEAL Delivery Vehicle (SDV) and is undergoing extensive modernization. In particular, we are enhancing operator interfaces and the ability to carry additional payloads. The Shallow-Water Combat Submersible (SWCS) is in production and is the replacement for the SDV. Both are wet submersibles that require operators to be exposed to the environment and on underwater breathing gear while conducting operations. Joining the undersea fleet is the Dry-Combat Submersible (DCS), also in production, closing a 10-year capability gap and enabling increased range and payload, and protecting the operators from the environment within a pressure vessel. To prepare Naval Special Warfare for the delivery of SWCS and DCS, both programs have delivered platforms currently utilized for training, programmatic risk mitigation and technology insertion. Over the last few years, the surface fleet has undergone an extensive recapitalization effort consisting of the Combatant Craft Assault (CCA), Combatant Craft Medium (CCM), and the Combatant Craft Heavy (CCH) mobility platforms along with enhanced mission-equipment technology that augments capabilities. The production of CCA continues with the addition of a low-velocity, air-drop capability while the CCM is in full-rate production. The CCH maintains a forward-deployed presence on a rotational basis, with one craft in production. The SOF combat diving program rounds out the maritime portfolio and is developing new equipment focused on diver communications, navigation, mobility, and environmental protection; each piece of gear is integrated with our platforms and delivers cutting-edge technology to our operators, not only enhancing the diver’s ability to conduct their mission but also expanding their mission set. Special Reconnaissance, Surveillance and Exploitation (SRSE) PEO SRSE is responsible for the acquisition, development, fielding, sustainment, and upgrading of state-of-the-art technical collection and exploitation capabilities for SOF. Current and projected threats to our national security continue to evolve in response to the increased technological sophistication and effectiveness of our fielded capabilities. PEO-SRSE’s acquisition, development, and improvement strategies have evolved into innovative contracting approaches, robust systems engineering, evolutionary technology insertions, and a prudent balance of cost, schedule and performance requirements. PEO-SRSE’s capability portfolio enhances the SOF warfighter’s ability to find, watch, and report on enemy forces’ activities and interactions through tagging, tracking, and locating systems; blue force tracking; sensor systems; biometrics and forensics systems; joint threat warning systems; distributed common ground/surface systems; integrated survey programs; and focused research, development, tests, and evaluations. USSOCOM’s Science and Technology Directorate seeks to develop and integrate technology to enable SOF to achieve and maintain overwhelming advantage in conducting assigned missions. We have identified three “hard problem” sets: small unit dominance, mission assured communications and signature management. S&T developed a fiscal year 2019 virtual symposium that outlines our current six SOF challenge areas. The intent of the SOCOM S&T Virtual Symposium is to communicate the critical needs of the SOF warfighter in the next five to seven years, based on an assessment of what the future operating environment will look like, how it will constrain the mission, and what development needs to occur in order to obtain an asymmetric advantage. USSOCOM S&T continues being adaptive, agile and positioned to meet technology demands across the SOF enterprise. We are staged to not only maintain awareness of ongoing efforts and needs of the warfighter in the near-term, but also those of future missions. The S&T futures process integrates the effect of changing strategic conditions, varying mission objectives, changing environments and rapidly changing technology. S&T’s ultimate goal is to empower the operator by delivering integrated information and technology to enable decisions and actions at the point and time of need resulting in mission success. The SOF AT&L Acquisition Agility Directorate mission is to create the networks, venues, and tools to support warfighters, acquisition program managers and the USSOCOM enterprise through SOFWERX, a collaborative partnership intermediary agreement between USSOCOM and the Doolittle Institute. A significant focus area for SOFWERX this year has been the continuing ThunderDrone efforts, under a partnership between USSOCOM and the DoD Strategic Capabilities Office. Rapid prototyping events composed of technical expositions, demonstrations and experiments, to showcase both offensive small unmanned autonomous systems and counter-SUAS technologies have been conducted at SOFWERX in Tampa, Fla. and an outdoor range at Fort Bragg, N.C. The ThunderDrone events will culminate this year with a final rodeo that will be conducted at Nellis Air Force Base, Nevada in June. The SOFWERX model has proven to be a useful tool to advance solutions to some of SOF and the military’s toughest challenges. This year SOFWERX has worked in concert with the SOF enterprise on projects such as basic concepts and designs for precision engagement on combatant craft and partnering with other government agencies to develop platforms to explore open source data and methodologies and rapid prototyping of high altitude oxygen masks for canine activities. SOFWERX events assist USSOCOM prior to making investment decisions through the iterative capability development model that is used in industry and what the DoD is aiming to scale in the acquisition community.